What Can San Antonio Sinus Do For Me? Exactly what is an ENT Specialist? An ENT physician is trained in Otolaryngology, the medical and surgical treatment of diseases and disorders of the ear, nose, throat (ENT), mouth, sinus and related structures of the face, head and neck. 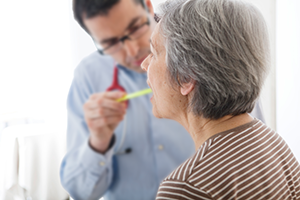 An Otolaryngologist is commonly referred to as ENT Specialist. To become certified by the American Board of Otolaryngology, an applicant must complete four years of college, four years of medical school, and at least five years of specialty training before passing the American Board of Otolaryngology examination. Some physicians also complete a fellowship of one to two years of extensive training in a subspecialty of Otolaryngology, that includes areas like Allergy, Facial Plastic Surgery, or Rhinology. 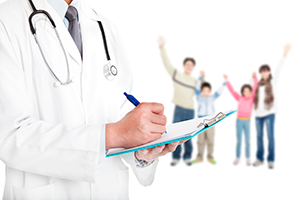 Why should I care if my doctor is a board-certified specialist? There is a wide range of disorders that affect the ear, nose, throat and head & neck, some of which are life-threatening. You want the best trained specialist with the most experience to diagnose your specific problem and provide the most effective and affordable treatment. Certification by a board of review means that the physician has met specific, established criteria of skill and competence and continues to participate in ongoing education in the field of specialty. Dr. Kevin Browne of San Antonio Sinus holds a master’s degree in public health in addition to his Doctor of Medicine. He is board-certified in Otolaryngology with more than 24 years’ experience treating patients in San Antonio. Dr. Browne has made it his personal goal to deliver the finest in ENT care to every one of his patients. Why choose San Antonio Sinus? Dr. Browne and the ENT specialty team at San Antonio Sinus are dedicated to providing the most advanced otolaryngology care for you with the best patient experience. Also, we are affiliated with the Methodist Ambulatory Surgical Center and Southwest Texas Methodist Hospital to assure you have the best hospital setting when you need inpatient care. Whether you are suffering with nasal congestion, sinus infection, upper respiratory irritation from allergens, or any other ENT issue, we would like to help you find relief. Our priorities are offering personalized care with innovative approaches to treatment, restoring your balance of health, and improving your quality of life. Come see us! It's been the greatest thing I could have done for myself to choose him to perform my sinus procedure. No more headaches; no more suffering. Dr. Browne personally spent the necessary time to discuss my sinus concerns without rushing or being dismissive. In fact, he explained every detail of my condition & treatment plan with clarity and gentleness. He has restored my quality of life! I wouldn't trust anyone else! From my first visit to my surgery, I was confident that he cared, and he was focused on successfully fixing my problem. I will recommend Dr. Browne everyday! Dr. Kevin Browne is not only a great doctor in this field of medicine, but also a sincere man and warm personality. Find out what personal, state-of-the-art care is all about. *Every patient is unique, and individual results my vary from person to person.